This week we are continuing our series at the beach. Check previous posts for sand science and seawater science. 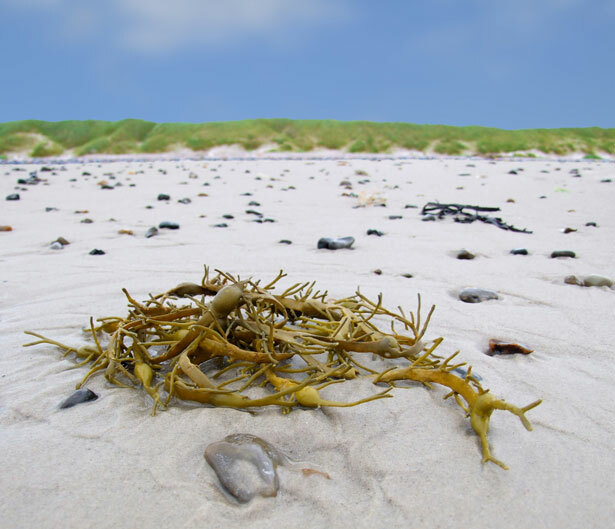 Have you ever found something plant-like on the beach and wondered what it was? Seems like a lot of beach plants are hard to classify. Are they algae, a sort of seaweed, or are algae and seaweed the same thing? Are algae plants or do they belong to a different kingdom? These are all good questions, and scientists are just beginning to answer some of them. 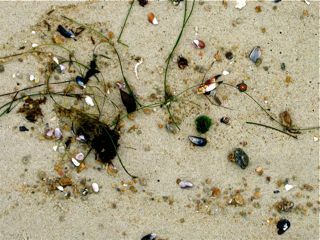 Many of the plants and plant-like creatures you see at the beach are technically algae. 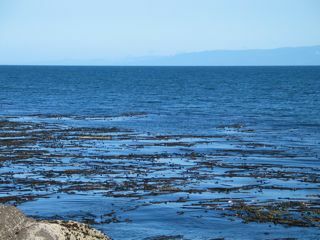 For example, kelp are giant brown algae. Algae come in many colors, like these red ones. 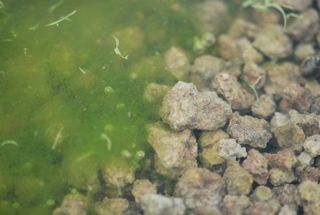 The green algae are often found in freshwater ponds and lakes. Ready to learn more? Here are some suggestions for activities to investigate algae. I'd love to hear your ideas, as well. 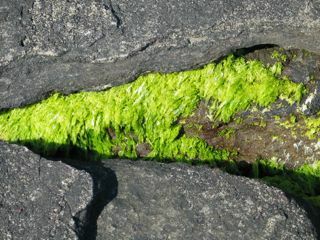 Gather algae on the beach and keep it moist in seawater. 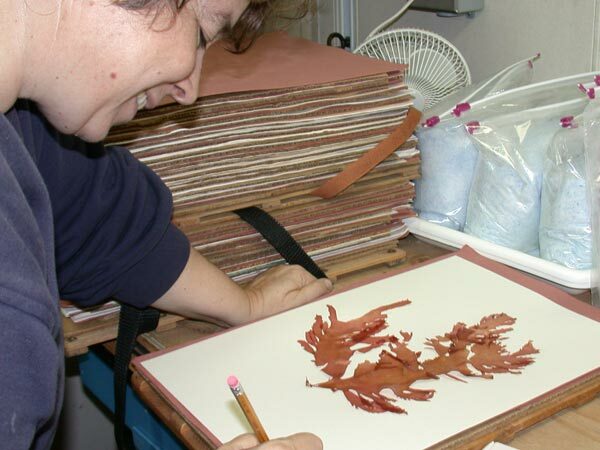 If you have never worked with algae, the Hawaii Botany Department tells you how to make an algal herbarium. Or if you don't want to disturb nature, you can take close up photographs of what you find. Once you have a collection, visit these websites to help you identify what you have. 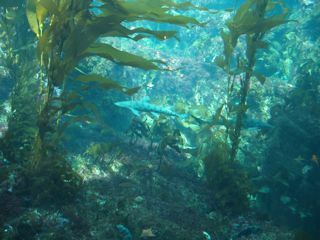 Michael Guiry's Seaweed Site covers all things seaweed and the identification of algae. Life on the Australian Shores and Algae: The Forgotten Treasure of Tidepools are also helpful, although the later tends to get a bit silly at times. You may be wondering why anyone would care about algae. Turns out, algae are important in a lot of ways. Activity 2. Investigate food chains. Algae are the basis for aquatic food chains in both seawater and freshwater. If you are unfamiliar with the concept of food chains, this book is a great introduction to food chains and food webs. It has been a family favorite. Find out as much as you can about food chains in the oceans. 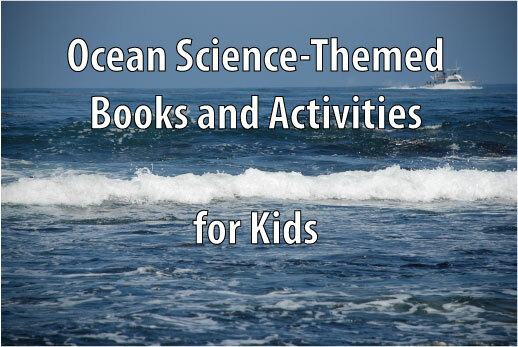 Gather, print and cut out pictures of ocean critters to illustrate your own posters of food chains or webs. Activity 3. People eat algae too. You have probably eaten algae and didn't even know it. 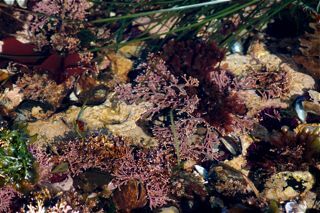 Carrageenan, a thickener used in a variety of foods, is extracted from a red alga. 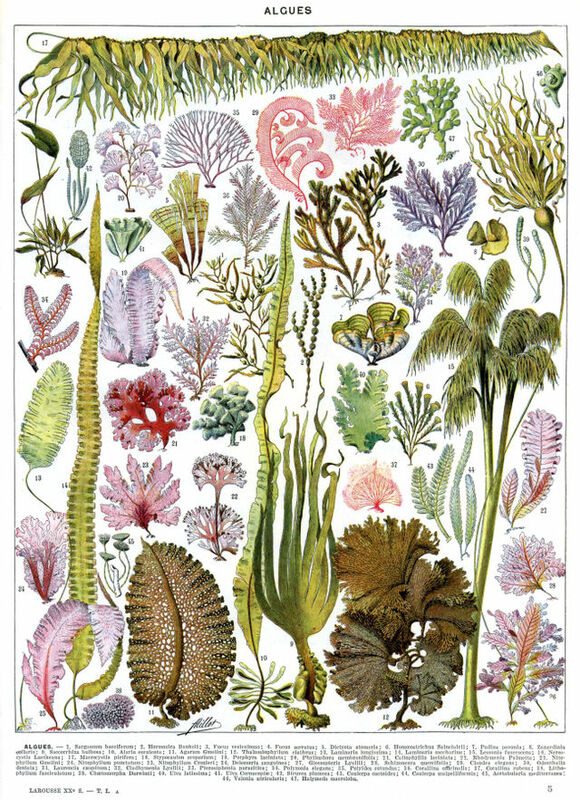 For more information, see http://encarta.msn.com/encyclopedia_761573848_3/algae.html. Once you have an idea what to look for, head to your kitchen and check to see if you have any foods that contain carrageenan or other products made from algae. Look at the cookbook listed below (or a similar one), and make some of your own dishes using algae. Asian markets are often an excellent source of ingredients. If you are interested, a fun research project would be to investigate all the ways people use algae for food throughout the world. Activity 4. Other important uses for algae. Algae are thought to make much of the oxygen we breathe. This video shows a camera zooming in on the leaves and then the cells of a common water plant, Elodea. In the cells you can see the chloroplasts moving around. The chloroplasts are the sites of photosynthesis, the process that turns sunlight into chemical energy we can use as food. A by-product of photosynthesis is the release of oxygen. Although Elodea is actually a vascular plant, the process in green algae is the same. If providing food and oxygen weren't enough, now scientists have discovered ways to use the oils found in algae to make biodiesel. In fact, algal oils can be made into jet fuel. See this previous post for more information about algal research at ASU. Have fun with some seaweed science and let me know what you discover!